Do Your Students Speak Library-ese? 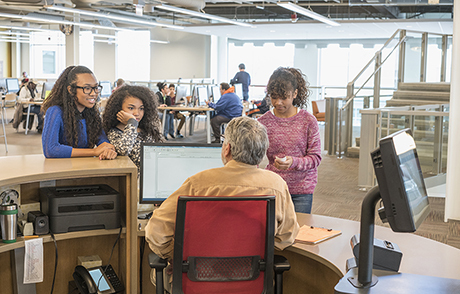 The User Research Group at EBSCO Information Services spends significant time studying college students and their information-seeking behaviors in the context of their academic work. Learn some of the results of EBSCO’s large, ethnographic contextual inquiry study of college students in 2014. The User Research Group at EBSCO Information Services spends significant time studying college students and their information-seeking behaviors in the context of their academic work. 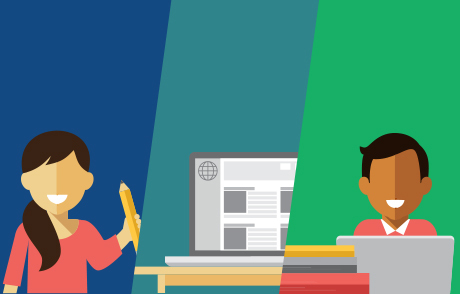 During EBSCO’s large, ethnographic contextual inquiry study of college students in 2014, many findings were unearthed, from the role that Google and Wikipedia play in giving students confidence to tackle their institution’s library website, to what actions students take when they find a resource that works well for their assignment. One comment from a participant spurred its own follow-up study. When a student participant and a researcher were discussing the value of the abstract in the search result listing, the researcher used the word “abstract” and the student used the word “description.” When the researcher asked the student, “When you say description, do you mean abstract?” to clarify, the student laughed and responded, “Yes. But I don’t speak library-ese.” Library-ese, of course, being the language of conducting research; the language of libraries. A language, the student explained, that she doesn’t speak, making the challenge of conducting scholarly research even more daunting. To examine students’ perception of the research process and to uncover which terms and concepts feel like another language (“library-ese”) to students, researcher Khalilah Gambrell, MA, MLS, conducted a survey in April and May 2015. We received responses from over 200 undergraduates representing community colleges, four-year public colleges/universities, and four-year private colleges/universities in the United States. Survey findings are available as an infographic. Faculty play an important role in setting the direction students start in on their hunt for resources. Faculty are most influential in their research approach according to 43 percent of students, who rely on professors to suggest what sources to use and turned to them to help when facing research roadblocks. Students are researching in the evening, from home: Students delay conducting research and allocate very little time for it. Based on the survey, 32 percent of students conduct research between the hours of 7 p.m. and midnight. In addition, 78 percent of students begin a research assignment due in three weeks within the first 10-12 days. Half of those students wait until the midpoint (10-12 days) before starting their research. Some surprising terms are considered “library-ese”: Library-ese is one of the most reported issues identified in user testing. Unfamiliar terms are barriers to users fully utilizing library resources/services. Students stated the following terms as not well understood. Weed your library’s content. Evaluate content for its readability, brevity, and currency. Write in plain, straightforward language. Think of terms that are familiar to your users. 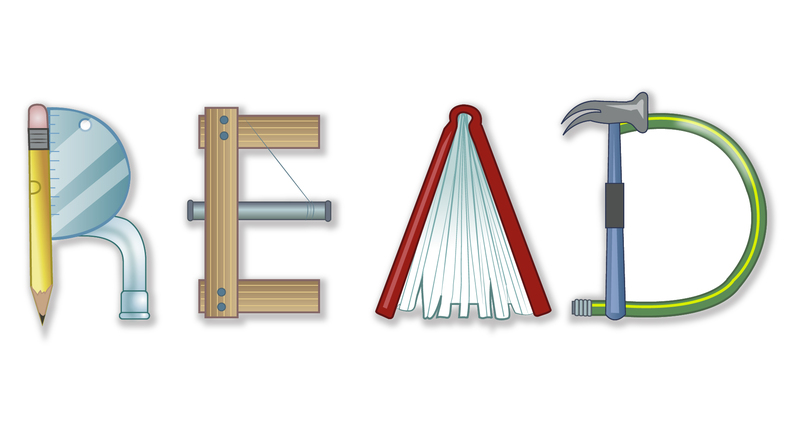 Use verbs to convey intent of features and/or content (e.g., Find Articles). Provide explanatory text when needed. Be aware of library-ese when branding your link resolver and discovery service. 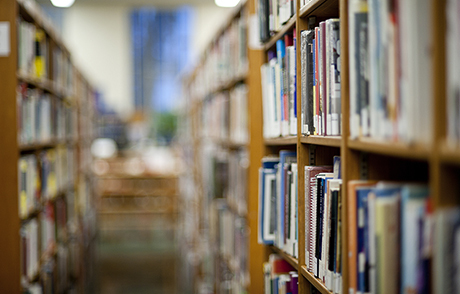 Ask a non-librarian to validate your content. Conduct a survey or usability testing. Do not rely on a glossary alone to explain terms. Find out more about EBSCO’s User Research program on the EBSCO website. Kate Lawrence is Vice President, User Research at EBSCO Information Services, leading the research activities that enable EBSCO to gain user insight and improve the customer experience across the portfolio of EBSCO products. Read the Full Bio.